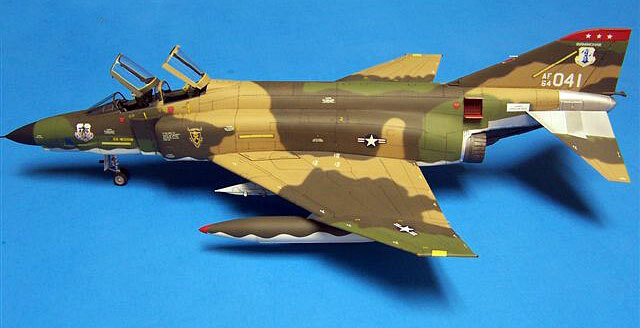 Here is Hasegawa's 1/48 RF-4C in Alabama Air National Guard markings from 1976. The 106th TRS/117th TRW based in Birmingham, AL. Notice the Bicentennial Air National Guard badge on the nose. My good friend Walt Holmes made some of the decals for me on his Alps printer.